Akinesia is a one-man project from Russia, and one of his albums, called “Autumn, released on DNA Production, is now under review. The meaning of the project’s name is “immobility”, and such a notion is quite suitable for the resulting sound. The one-track album begins with a high tones, which later on turn into a jelly-like stable ambience, which is intended to produce some kind of autumn feelings, the impression of progressively exsiccant leaves of trees, which like in an iridescent dance of death, make their way from branches to the cooling ground. In spite of this supposed sadness, the whole atmosphere is serene and lucid, and it really provokes the wish to become immobile and tranquil. 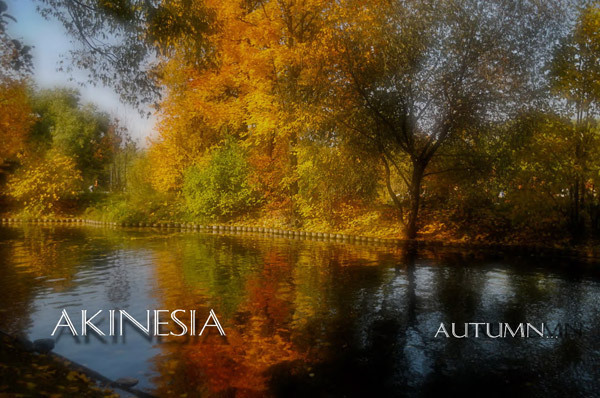 So, breathe in the air of Akinesia’s “Autumn”. This entry was posted in Uncategorized and tagged Akinesia, ambient, DNA Production, drone. Bookmark the permalink.